Having been engaged by ECS Engineering Services, DMA Europa was requested to help with the growth of the business and promotion of its core activities. One of the aspects addressed was the existing website, which needed to be improved in terms of content and search engine optimisation (SEO) to ensure that potential customers would find ECS when its services were required. Following a series of meetings with the management team at ECS, a variety of styles and layout options were presented before the final design was decided upon. At the same time the technical writers at DMA were working on a collection of news items and case studies which would be integrated into the new website. The final design of the website has been based on the current company structure, allowing each division to have a dedicated section in which to detail the services provided as well as news items and video content, all of which are designed to improve SEO. All of these elements have been brought together by the web design team to present a professional, high quality website, reflecting the qualities of client. The website project was carefully co-ordinated to coincide with the updating of the company logo, which was also created by DMA. 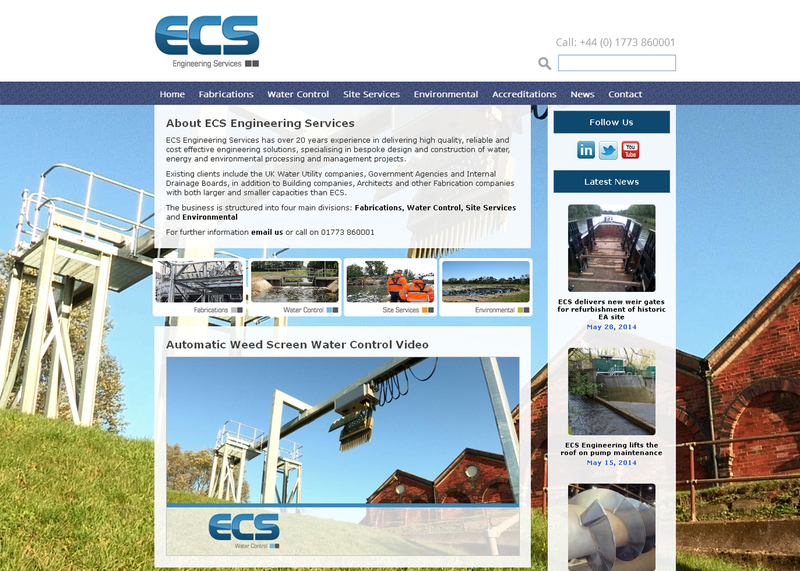 The work for ECS has involved a closely linked team of web designers, graphic designers and technical writers to produce an integrated website that is managed and updated on a regular basis. This approach has delivered an efficient process whereby the time from initial concept to final sign-off is minimised, providing excellent value for the client.